Wat Phra Dhammakaya is a Buddhist temple in Khlong Luang District, Pathum Thani Province north of Bangkok, Thailand. It is the centre of the Dhammakaya Movement, a Buddhist sect founded in the 1970s and led by Phra Dhammachayo.Chapel was built on December 24, 1977 HRH Princess Sirindhorn 's . CSR Instead, he went To lay the foundation stone Inside the chapel for the monks to join their ranks with up to 200 photos with the look of Applied Arts Thailand . Designed with simplicity and elegance . The architecture of the Year award in 1998 . 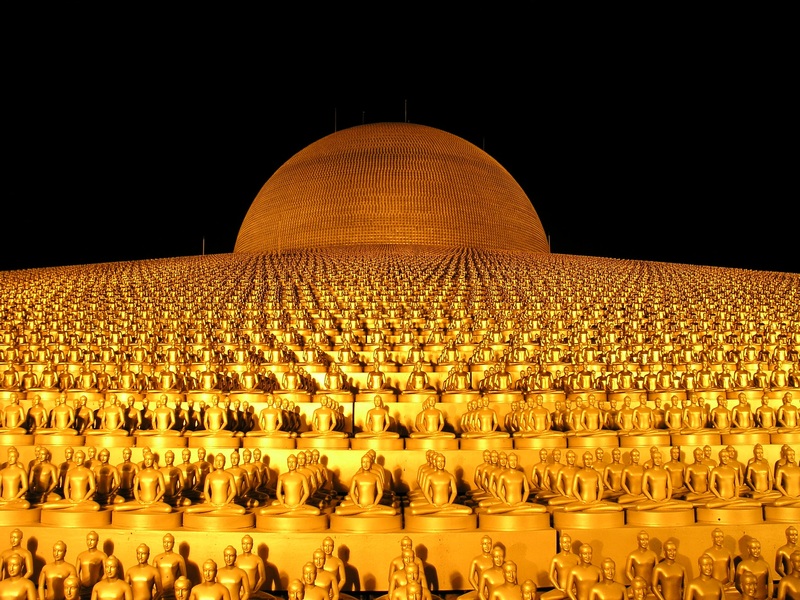 Maha Dhammakaya cetiya is a symbol of world peace through inner peace. Built entirely on international public contributions, it is also the embodiment of unity and love for mankind. The dome-shaped Cetiya (stupa) is the hallmark of what has become the largest venue for mass meditation and prayers for Buddhists and peace-loving people of the world. The design has been likened to a sports stadium or even a UFO, rather than resembling a traditional Thai temple (wat). Explore More Wallpapers in the Temples Collection!